Today was a beautiful sunny day with hardly a cloud in the sky. Amsterdam looked pretty grim although a very fancy docking area with a pedestrian bridge across the many railway tracks had been built in the last few years. We went on to Canajoharie arriving around 4:00PM after 6 locks. We are now a day ahead. We appear to be about the only west bound boat. The lockmaster at lock 12 had put 29 eastbound boats through yesterday and only 4 westbound. Today was much slower at lock 12 as all the boats that were backed up due to Ivan had cleared out. Canajoharie is a company town the home of Beach-nut. Bartlett Arkell, first president of the company, collected art and gave the town a library and art gallery in 1924. 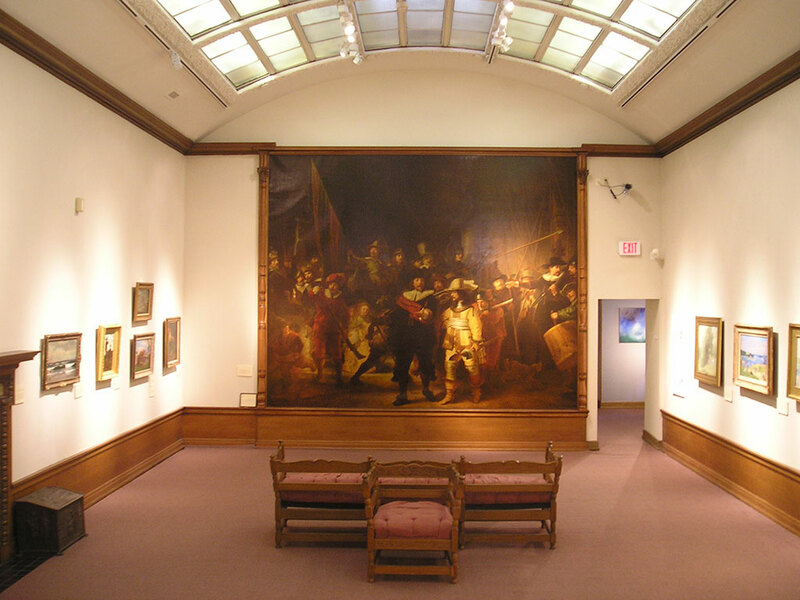 The art gallery has Winslow Homers, a giant Rembrandt (Arkell paid to have a copy painted - see photo), and even a Grandma Moses painting. So far we have been on the Mohawk River but tomorrow it looks like we will be in a ditch for much of the way.